"....I have these two postcards. They were always very substandard and dark, and I have done my best to make them lighter. 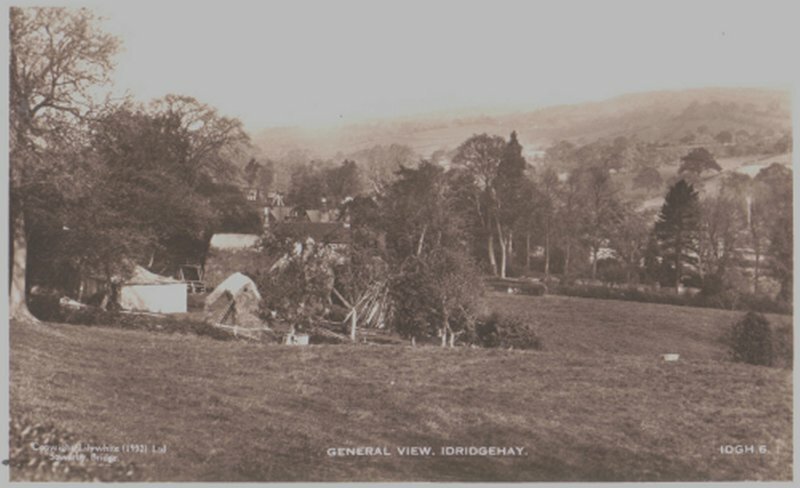 "General View Idridgehay" is as it was in my time (1940-46). Obviously taken from a site up the lane leading from the Derby-Wirksworth road to Ecclesbourne Hall. You can see Ithersay House in the background. Note that the Copyright was dated 1932....."